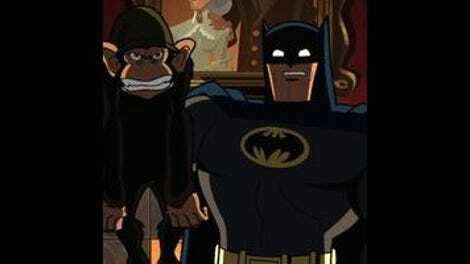 Batman: The Brave And The Bold: "The Malicious Mr. Mind!" Hello, DC Nation! 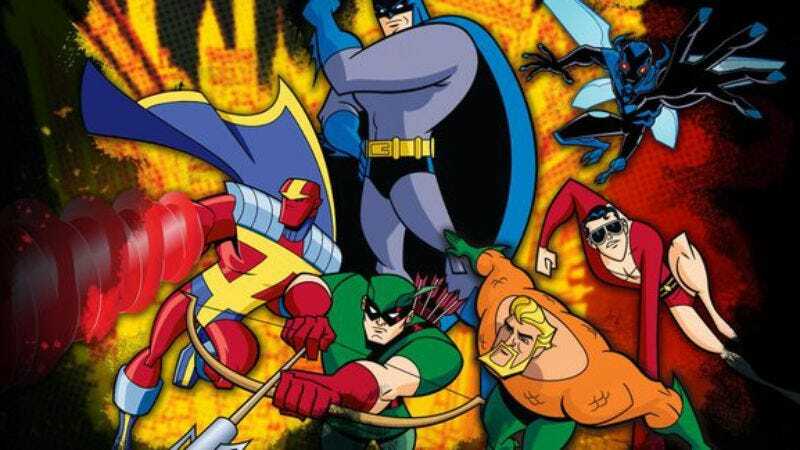 I am thrilled that I get to bring you regular coverage of Batman: The Brave and the Bold’s third and final season, especially after having watched “The Malicious Mr. Mind,” the episode that was originally supposed to be the final episode of season two. As it’s been aired in the U.S., season three of The Brave and the Bold had really brought it’s A-game, from “Battle from the Superheroes,” the season premiere of two week’s ago, to tonight’s episode. If The Brave and the Bold’s last season continues at this rate of excellence, the showrunners will ensure that their baby will go out on a very high note. Speaking of being high, if you, like me, couldn’t help but thinking, “Gee, when was the last time we saw Mr. Mind in a DC comic: 52 or Shazam! : the Monster Society of Evil?” you probably weren’t prepared to see both versions of said character in tonight’s episode. Once again, The Brave and the Bold’s po-mo framework proves its flexibility, just by capably shifting from the Silver Age to the Golden Age then momentarily to the Modern Age of comics in the blink of an eye. The episode’s negligible first segment opened the show with a Kamandi team-up, which was a fun but redundant throwback to Jack Kirby’s post-apocalyptic ‘70s boy hero (Kamandi’s appearance in “The Last Bat on Earth” in season one already hashed out many of the jokes of the opening conflict between Batman and Misfit). Then, without skipping a beat, the show’s main entry launched viewers into an homage to the Golden Age of DC Comics, starring Captain Marvel, Captain Marvel, Jr., and Mary Marvel. I hasten to add that this tribute also features the multiverse-devouring incarnation of Mr. Mind, the evil genius caterpillar, that was introduced in 52, one of the many recent crises to plague the superheroes in DC Comics. The fact you can watch cute and cuddly C.C. Beck-era Mr. Mind one minute zooming around onscreen with the aid of a tiny jetpack and then the next minute gawk at the conqueror worlds-devouring Mr. Mind as he flexes his muscles(?) is, if you’ll excuse the geek-out, awesome. Ahem, excuse me. It’s also a great example of why The Brave and the Bold’s abject refusal to shy away from its characters’ convoluted shared histories is its biggest asset. I also like the way that Michaeli used the fact that the Marvels are kids at heart as the crux of the drama in “The Malicious Mr. Mind.” The story is all about literal growing pains: The evil Dr. Sivana zaps Batman with a ray gun that makes him regress in age throughout the episode. Batman first transforms into a teenager (with a zit, no less), then a grade scholer, then a babbling baby to show how no matter what age he may be, Batman will always be Batman. This makes him look a little more like the Marvels, since they’re kids that transform into adults after saying the magic word, “Shazam.” Mr. Mind, the leader of the Society of Evil Monsters, is similarly a character that has the potential to become bigger with aid of Dr. Sivana’s growth ray, which brings us back to the version of Mr. Mind 52 readers know best. In that way, the cameo from the bigger, more menacing-looking Mr. Mind is not just fan service, but rather a sharp way of fleshing out the episode’s themes. Then again, the episode’s more fan servicey allusions were equally terrific. My favorite superfluous reference, after Dr. Sivana’s “Confederacy of Dunce Caps” crack, was the totally unexpected nod to Underworld United, whose logo is emblazoned on the Monster Society’s board room table. Underworld United was the name of the super-villain team from the original 1966 Adam West Batman movie, so seeing a random shout-out to that bonkers film was a dizzying and welcome inside joke. The Brave and the Bold is so good that even when it has its cake and eats it too, you can’t help but just smile and nod.